I am not someone who has a huge sweet tooth. I don’t have to have dessert every day, but when the mood strikes, it’s game on. 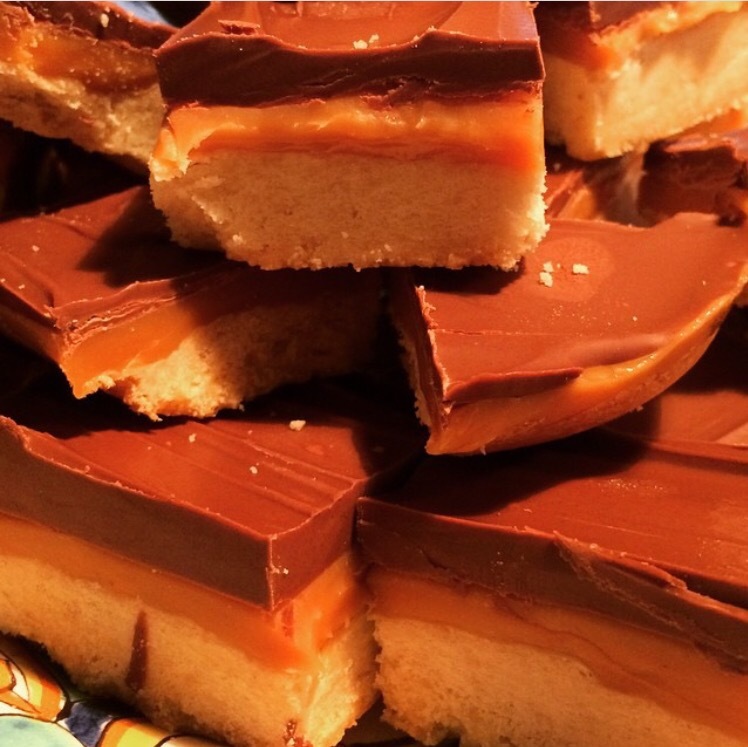 These Twix bars are not only super easy, they are DELICIOUS. Coat a 9×13 baking dish with nonstick spray. Using a hand mixer beat 1 cup of salted butter until soft. Add in 1 teaspoon salt, 2 teaspoons sugar, and 1 cup powdered sugar. Beat until smooth. Add 2 cups of flour and carefully combine. Using your hands, press dough out evenly into your baking dish. Bake at 300 degrees for 35 minutes. Let cool completely. Melt 2 bags of caramel squares (2.5 cups) and 3 tablespoons of heavy cream in a microwave safe bowl for 3 minutes on high heat. Make sure to stop and stir each minute or so. Pour the caramel over the cooled crust and spread evenly. Let cool in the fridge for 20 minutes. Melt 2 cups of milk chocolate chips in the microwave for 2 minutes (stir after the first minute). 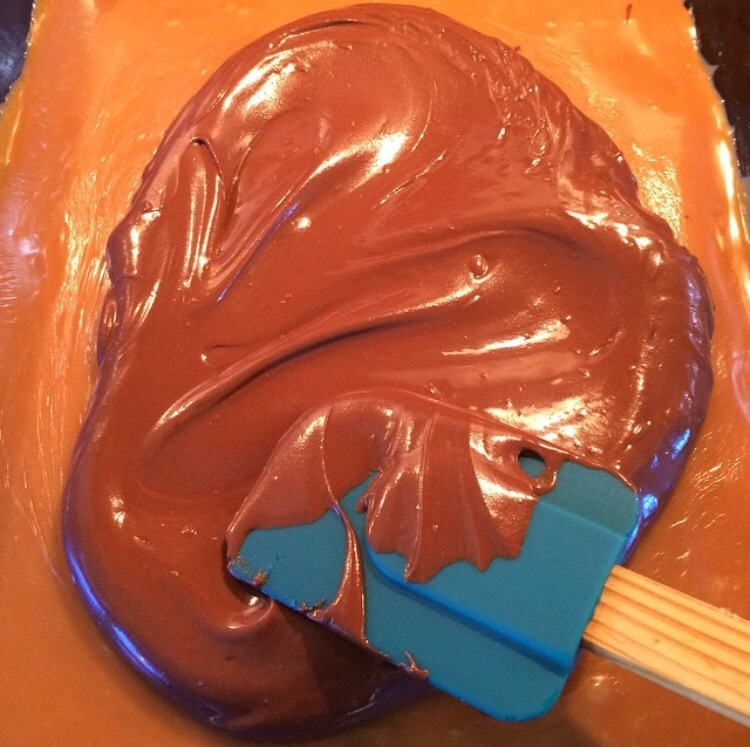 Pour over the caramel and spread evenly.